I just received this dress as a birthday gift from a friend, and I adore it. It's very flattering in the fit, and is extremely comfortable. I wore it out the day I got it and received tons of compliments! This dress is awesome. 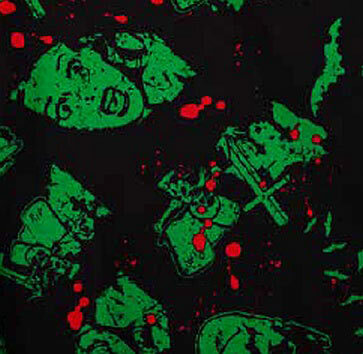 Horror print, bats, and blood splatter? Whats not to love?! 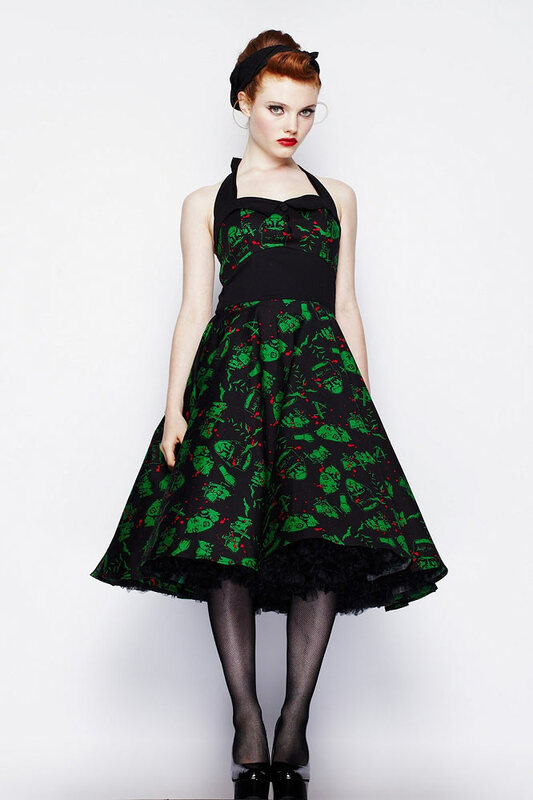 Got this dress for a pinup Bachelorette party. It was a hit. Very comfortable and fit just right.